It’s widely known that personal injury cases can drag on for months and even years. This fact alone isn’t at all reassuring to the person who has been a victim of a tragic accident. However, if you’re seeking immediate assistance after an accident occurs, pre-settlement funding may be exactly what you’ve been searching for. Here at Certified Legal Funding, we are aware of the mounting medical bills (not to mention other monthly expenses) you will need to pay while awaiting your compensation amount. With pre-settlement funding, you’ll worry less about how these bills will be covered. “I’m okay!” or “Everything is fine!” said the accident victims who’ve claimed they’re alright after their accidents while failing to seek out medical attention. Unfortunately, these may be the same individuals that experience side effects from their injuries months later. How can they prove their injuries are related to the accident if they didn’t obtain immediate medical care? This is the number one mistake personal injury victims make. Even if you’re not in pain after the accident, seek out a doctor immediately. The initial medical report can help you recover your compensation. If your doctor requests a follow-up appointment you should attend it. If you decide not to go, the opposing party will be aware of your absence and claim that your injuries are not as serious as you claim them to be. Always ensure that you’re able to attend your follow-up appointments and that appointments can accommodate your schedule. If your doctor prescribes you a certain medication to treat your current condition, move forward with the notion that you will, in fact, take this medication. In the instance that you decide not to take the medication without prior consultation with your doctor, the opposing party will be led to believe that you are not injured and furthermore use this information against your case. Make sure you have detailed and accurate medical documentation. Inform your doctor that documenting every one of your symptoms in detail is needed to help support your case, no matter how insignificant you may think them to be. You never know what will work in your favor and save your case. The worst thing you can do is to stop medical treatment without your doctor’s approval. Keep attending sessions until your doctor gives you permission to stop. 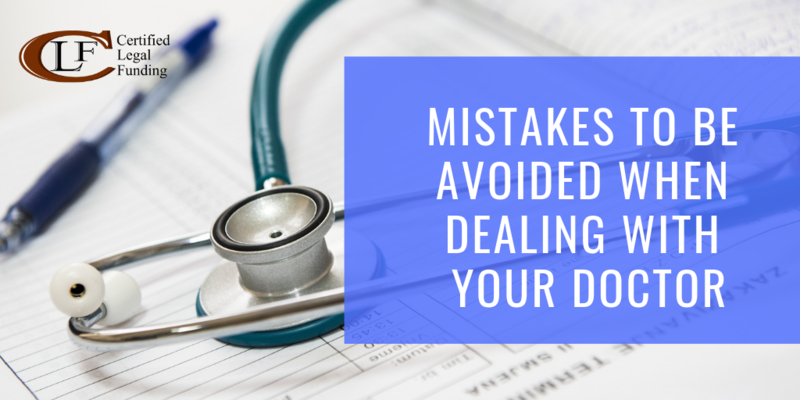 If you fail to attend your medical appointments, you will be unable to receive compensation for your accident.